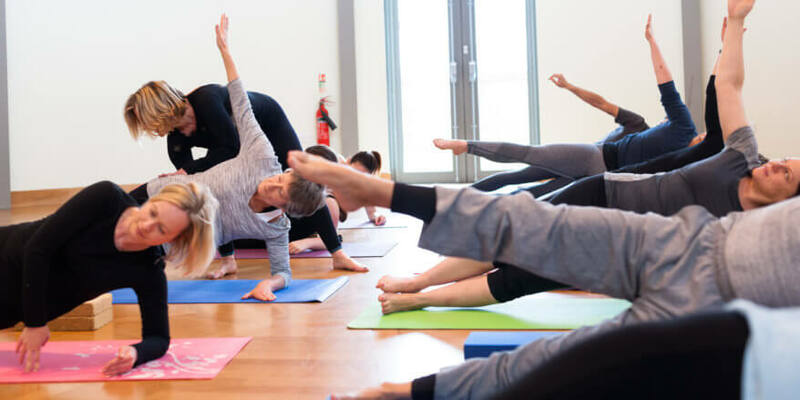 The Yoga 7 class at Claines Church Institute, Worcester is suitable for both the complete beginners and the more progressed yogi. A superb environment to practise Yoga, this large hall can fit up to 12 students, it’s warm, quiet and has plenty of free parking for students. In this yoga class you will experience the benefits of proper breathing techniques such as deep abdominal breathing and alternate nostril breathing (anuloma viloma) and after 2 months of anuloma viloma, Kappalabathi breathing techniques are introduced. Helping to cleanse and detox the internal body as well as balancing the left and right brain hemispheres. The postures are tailored to suit all levels and so you would take the higher or lower option depending on how you feel on the day. Yoga 7 classes run throughout the year so there’s no need to interrupt your practise because of school holidays. This class always ends with a guided relaxation of 20 minutes so please bring a blanket to benefit fully from this. Mats, blocks & straps are provided free of charge.